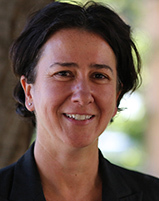 “The 5th edition of the Germán Bernácer Prize has been awarded to Prof. Monika Piazzesi (Stanford University) for her important research in developing a unified approach that improves our understanding of the connection between asset prices- including bonds, equities and real estate- and the institutional features of monetary policy and the business cycles”. Monika Piazzasi (Germany) is the Joan Kenney Professor of Economics at Stanford University. Her research focuses on asset pricing, especially related to bond markets and the term structure of interest rates. She studied her Bachelor degree in economics at University of Bonn and in 2000 she obtained her PhD in Economics from Stanford University. In 2016 she got the Society of Financial Econometrics (SoFiE) Fellowship and the Guggenheim Fellowship. From 2006 to 2014 she was the co-director of the Journal of Political Economy. She has published widely cited papers in leading journals like American Economic Review, Journal of Finance, Journal of Financial Economics, Journal of Political Economy, Journal of Econometrics, etc. The award ceremony took place in Madrid on May 31st, 2006.